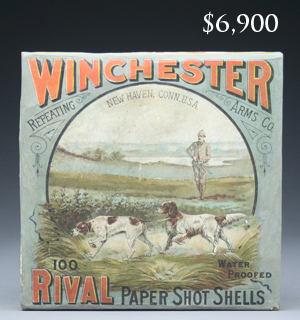 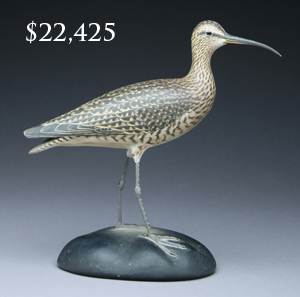 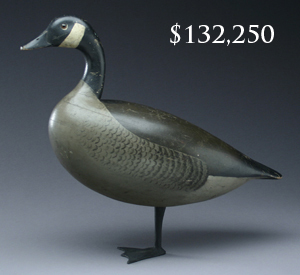 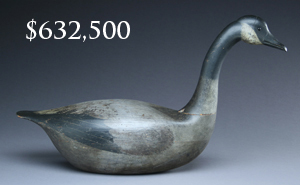 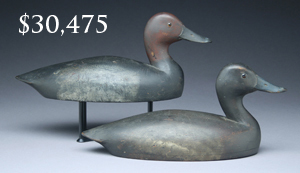 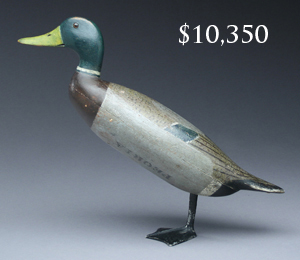 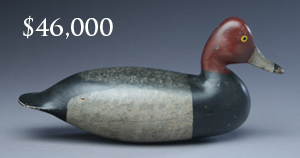 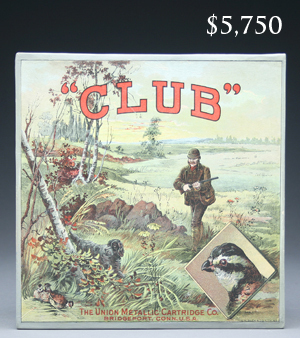 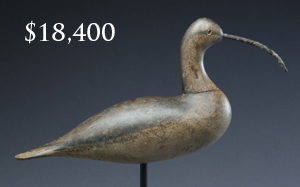 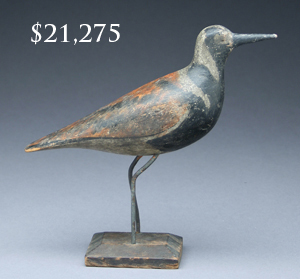 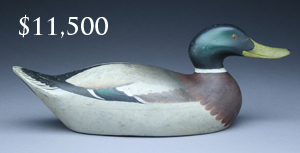 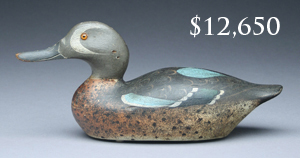 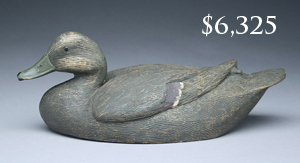 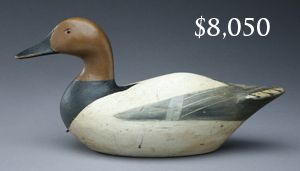 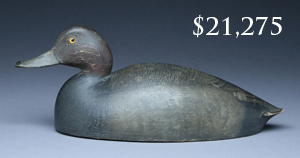 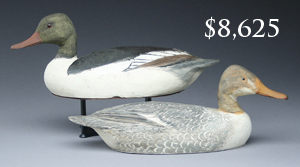 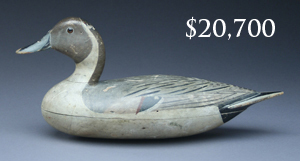 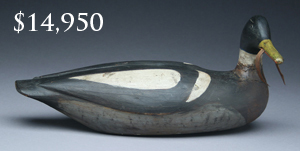 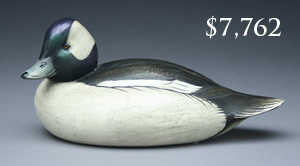 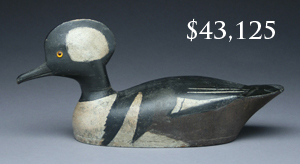 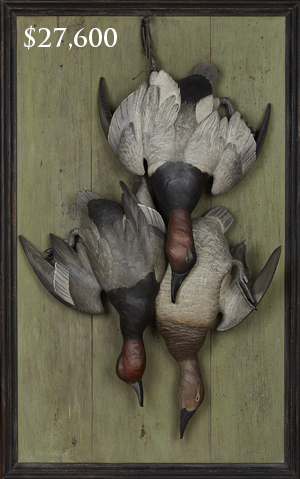 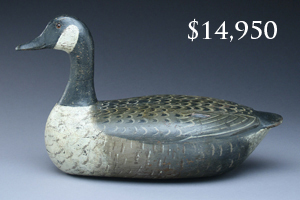 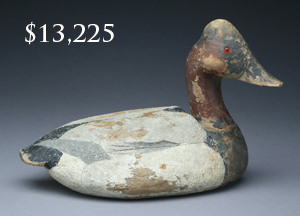 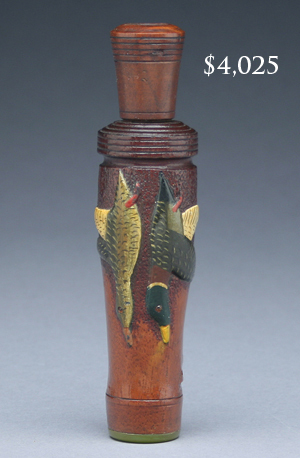 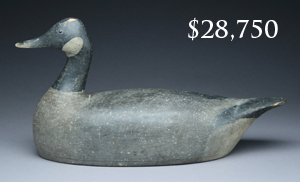 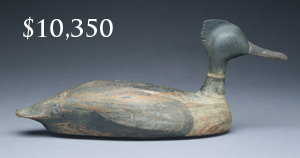 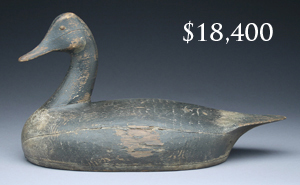 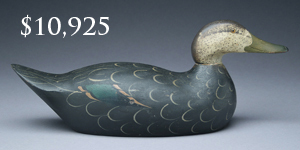 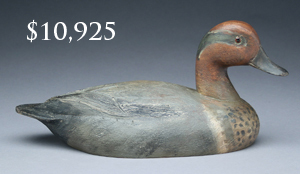 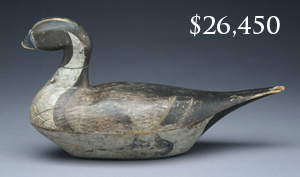 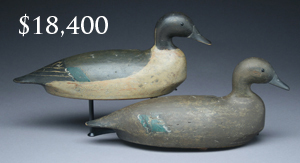 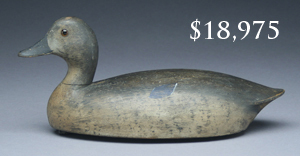 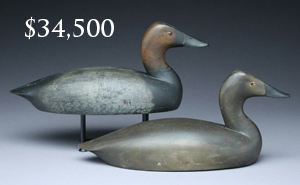 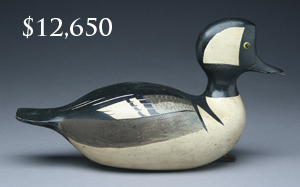 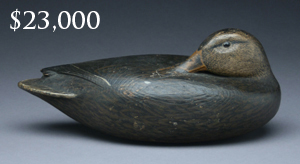 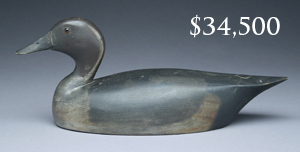 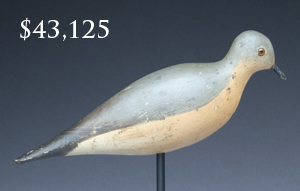 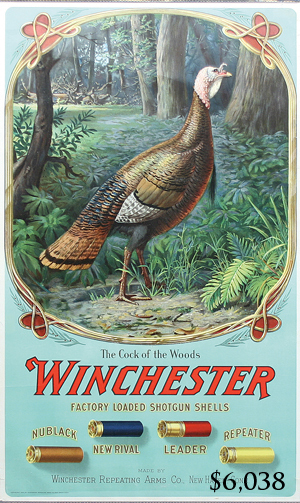 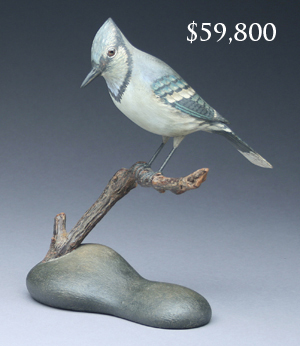 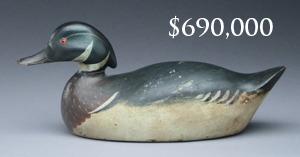 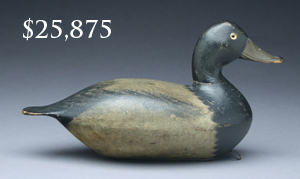 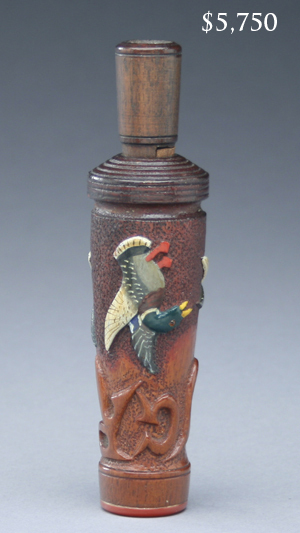 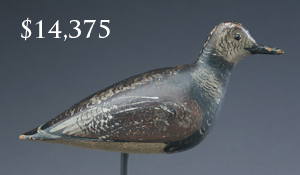 Guyette & Deeter’s annual April decoy auction achieved $3.6 million, making it the 5th highest grossing decoy auction of all time and the highest grossing decoy auction by any auction house since the Guyette & Deeter April 2007 auction. 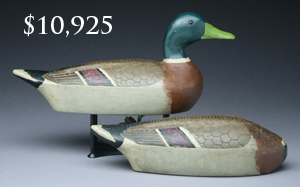 Three lots sold for over $100,000 and 47 sold for over $10,000. 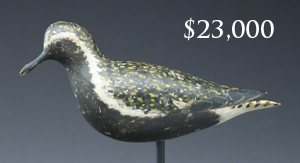 The crowd was large, with 317 registered bidders in the attendance.